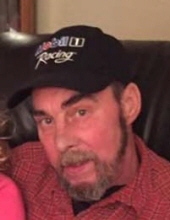 Paul Douglas Prater, 62 of Hueysville, KY, passed away January 24, 2019 at UK Medical Center, Lexington, KY. Born Augsut 19, 1956 in Floyd Co. KY, he was the son of the laet Paul & Juanita Shepherd Prater. Paul is survived by his wife, Taunda Hicks Prater. He was a retired business owner. In addition to his wife, Paul is survived by his sons: Paul David (Kim) Prater of Lowmansville, KY and Douglas McKay (Alexandra) Prater of Pikeville, KY; brothers & sisters: Dwane (Doris) Prater, Darrell (Betty) Prater, Sandra Prater Wallen & Dalphina (Alan) Conley all of Hueysville, KY; grandchildren: Johnathon Derek Morrow-Prater, James Blake Morrow-Prater, Farrah Blu Prater & Naomi Raine Prater and a host of nieces & nephews. Along with his parents, Paul was preceded in death by his brother in law: Paul Edward Wallen; nephew: Matthew Prater. Paul will be missed by all that knew and loved him. "Email Address" would like to share the life celebration of Paul Douglas Prater. Click on the "link" to go to share a favorite memory or leave a condolence message for the family.